Slate is a classic choice for both residential and commercial applications. It combines durability, beauty and charm to fit the personality of many buildings. 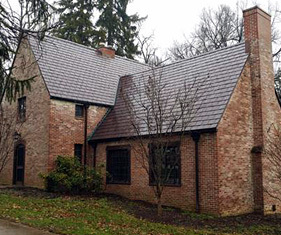 While traditional slate requires additional structural engineering there are new systems like the TruSlate® System from GAF® which combined real slate with specialized waterproofing materials. 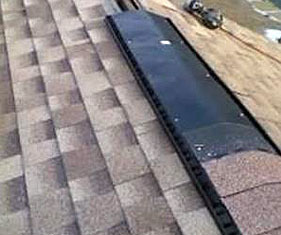 Check out TruSlate®System at http://www.gaf.com/ for installation and warranty information. A shake is a basic wooden shingle that is made from split logs. 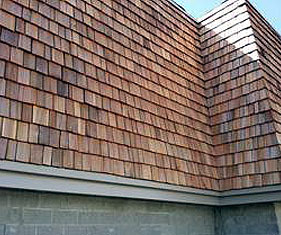 Shakes have traditionally been used for roofing and siding applications around the world. Higher grade shakes are typically used for roofing purposes, while the lower grades are used for siding purposes. In North America shakes are typically made from Western Red Cedar. Properly installed shakes provide good weather protection and a rustic aesthetic. Shakes do require more maintenance than other more modern weatherproofing systems. The typical roof life is 20-25 years. 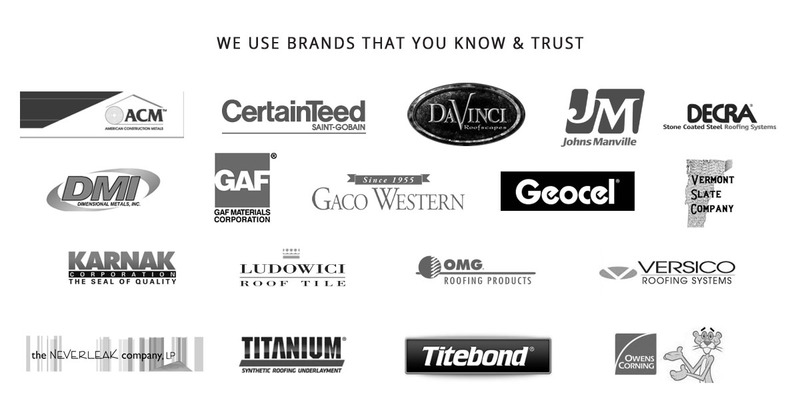 Lifetime Shingle Roofing systems are the most installed roof replacement in North America. Designer Shingles offer exceptional color options, styles, and durability. Because of their flexible nature they are great at hiding framing imperfections and minor defects. The huge range of colors affords customers a wide range of choices. Call us for a roof consultation at 740-392-9450. 1. OLD ROOF REMOVAL – Don’t cover up potential dangers. 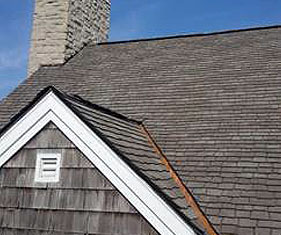 Always remove the old roofing system completely before installing a new shingle roof. 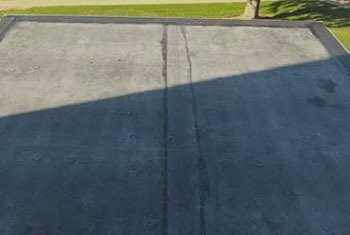 It is important to inspect the roof deck to make certain it is free of cracks, rot, mold or just needs to be re-nailed. Also, by removing the excess material you remove the excess weight from you roof that adds extra stress on the structure. 2. 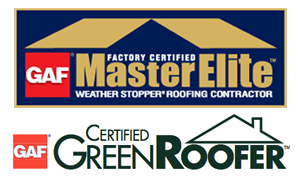 SYNTHETIC FELTS – Allows moisture to escape from your attic while providing an exceptionally strong layer of protection against wind-driven rain. Also, lays flatter for a better-looking roof. 3. ICE GUARD LEAK BARRIER – Creates a 100% watertight seal that keeps water out at the most vulnerable areas of your roof (at the eaves and rakes, in valleys, around chimneys, etc.). 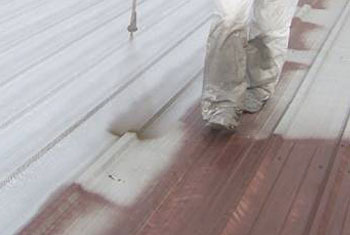 Provides exceptional protection against leaks caused by roof settling and extreme weather. 4. STARTER STRIP SHINGLES – Precut starter strip saves time, eliminates waste, and reduce the risk of blow-offs…and may even help qualify for upgraded wind warranty coverage because of their factory-applied adhesive strips. 5. ATTIC VENTILATION – Helps remove excess heat and moisture from your attic that can raise your energy bills, cause premature peeling of interior paint and wallpaper, and even affect your health. Proper attic ventilation systems allow a continual flow of outside air through the attic, protecting the efficiency of the insulation and helping to lower temperatures in the living space. It consists of a balance between air intake (at your eaves or soffits) and air exhaust (at or near your roof ridge). This is one of the most critical components to ensure shingle longevity. 6. 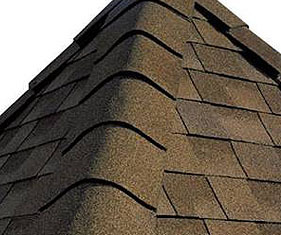 RIDGE CAP SHINGLES – Enhances the beauty and value of your home—while adding another layer of protection to guard against leaks at the hips and ridges. Metal roofing materials are readily available and offer a wide choice of metals, shapes, designs, and colors. Roofs made of durable metals now grace everything from warehouses and barns to Beverley Hills mansions. 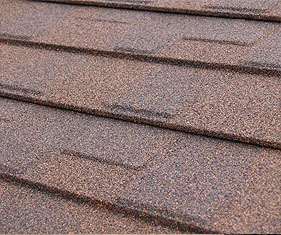 They offer every feature of other roofing materials and last longer than almost any other type of roofing. Metal roofs are extremely durable and often come with extended warranties. Most steel roofing have a baked enamel finish that resist rust for many years. Steel and the other metals can also be shaped easily. A steel roof can be nearly indistinguishable from clay tiles, cedar shakes, slate tiles, or asphalt shingles. 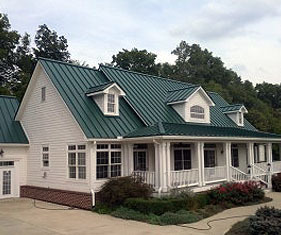 The metal roof, while identical in appearance in color and texture, may be much lighter in weight. This can make it possible to lay a new roof over an older one without adding to the structural strength of the building. 1. STANDING SEAM - One great advantage of a standing seam metal roofs is weak point in many other roof systems. The seams are raised above the level of the roofing panel. Because the metal panels run unhindered from the top to the bottom of the roof, not only are there no horizontal seams but in total the roof has a far fewer number of seams. Yes, metal is tough, but the sheet metal in this type of roofing can certainly be penetrated by falling limbs or dented by a severe hailstorm. 2. STEEL SHINGLES - As the name implies it is a combination of a shaped steel panel that has typically been coated to have the appearance of a traditional asphalt shingle but the durability of steel panels. They come in a variety of colors and designs and are by horizontal panels. 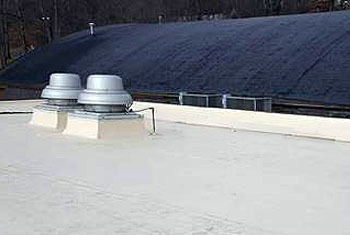 EPDM (Ethylene Propylene Diene Monomer) - A rubber roofing membrane technology, EPDM roofing systems are based on a high-performance synthetic rubber compound that provides outstanding weathering characteristics in climates worldwide from office buildings and distribution warehouses to hospitals and schools. EPDM works well on flat areas. TPO (Thermoplastic Plyolefin) - TPO roofing membranes are a single ply thermoplastic roofing system used on commercial buildings and low slope roofing applications. TPO membranes combine polypropylene (plastic) and ethylene-propylene (rubber) to create a stable membrane that can last over 30 years. One of the main advantages of TPO roofing is it’s heat reflective and energy efficient properties. This is mainly due to its stark white color, however many manufactures have realized the need to implement new colors and are offering tan and gray reflective color options. TPO can be installed to basically any scale with some of the worlds largest building utilizing TPO roofing systems – it comes in strips typically 8ft 10ft and 12ft wide that are heat welded on site. Another advantage to TPO roofing is price, TPO is often one of the most economical options for a large low slope roofing area. Another distinct advantage to TPO membranes is the simplicity of repairs – You simply cut out the effected region and weld a new piece in place. Meshes well with shingle roofs. 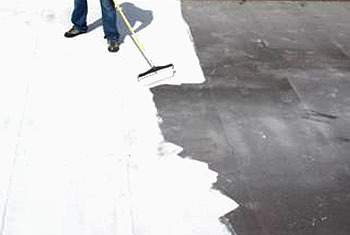 In recent years roof coatings have become a very cost-effective alternative to full roof replacement. Large commercial buildings can add as much as 10 to 15 years to the life of the existing roof. This translates to a significant yearly capital improvement savings. 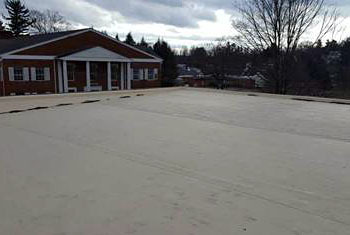 If you have a commercial flat roof that is in need of repair our roof coating services may be a great option for you. 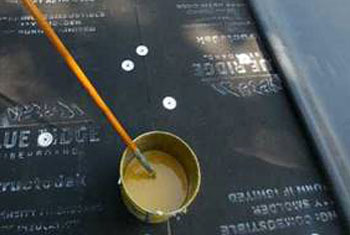 Best products for coating include: Metal roofing, TPO and EPDM membranes, but other materials may be coated as well. Manufacturer warranties will vary based on application.